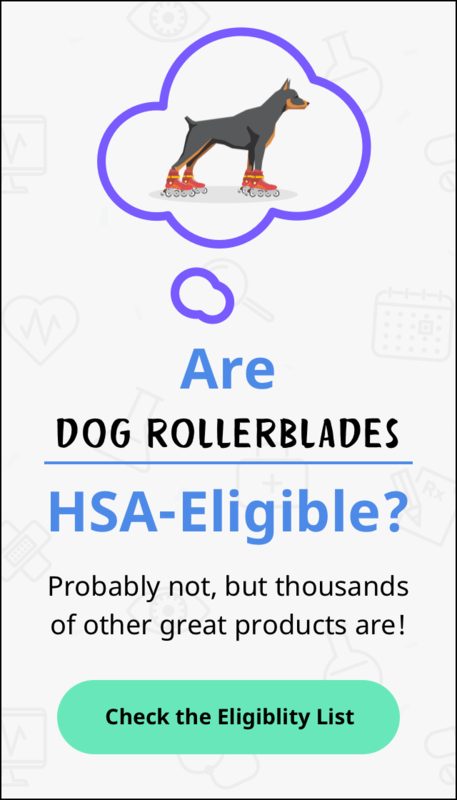 If you had significant medical expenses last year, or if you're anticipating significant medical expenses this year, you might be wondering whether you'd be better off itemizing your expenses or paying them with money from your HSA. To clarify an important point: You can't do both, as that would be double-dipping — the money in your HSA is already pre-tax, so if you use HSA funds to pay your medical bills (or reimburse yourself for them later on), you can't deduct these expenses on your tax return. Let's start with a reminder that each person's financial situation is different, and there's no right or wrong answer here. We'll provide an overview of how each option works, but you'll want to carefully consider your own circumstances and consult a tax professional if you have specific questions. Medical expenses can be deducted on your tax return if you itemize your deductions, but the specifics have changed a bit over the last several years. You can only deduct medical expenses that are more than a certain percentage of your adjusted gross income (AGI). Prior to 2013, that limit was 7.5%. As of 2013 (under the Affordable Care Act), it changed to 10%, but the Tax Cuts and Jobs Act (H.R.1) temporarily reset the threshold to 7.5% for 2017 and 2018. For 2019 and beyond, it has returned to 10%. So what does that mean in terms of dollars and cents? Let's say your total medical expenses in 2018 were $9,500 and your AGI was $50,000. How much can you deduct? First, you calculate 7.5% of $50,000, which is $3,750. You're allowed to deduct your medical expenses that exceed that limit, so you have to subtract $3,750 from your $9,500 total. That leaves you with $5,750 that you can deduct. Now let's say you're planning for this year — the numbers will be a little different, since the threshold has changed. If your AGI is $50,000, you'll only be able to deduct medical expenses in excess of $5,000 (10% of your AGI). So if your total medical expenses are still $9,500, you'll only be able to deduct $4,500 for 2019. IRS Publication 502 will help you figure out what counts as an eligible medical expense. In general, the criteria are fairly broad — most reasonable expenses can be included, as long as you paid them yourself using after-tax funds. A key part of this decision is that you have to itemize your deductions in order to deduct medical expenses (note that if you're self-employed and you purchased your own health insurance, you can deduct the premiums you paid without itemizing your deductions, using Line 29 of Form 1040 Schedule 1. If you purchased your own health insurance (on an after-tax basis) and you're not self-employed, you can include the premiums you paid in your total medical expenses when you're determining how much you'll be able to claim as an itemized deduction). Starting with 2018 taxes, the itemize-or-don't-itemize question changed quite a bit, as the Tax Cuts and Jobs Act significantly increased the standard deduction. As a result, only about 12% of tax filers are expected to itemize deductions—most filers are better off with the standard deduction. But if your total itemized deductions (including medical expenses above the allowable threshold) are larger than the standard deduction, itemizing might end up being the best option for you. This is important if you're planning ahead too: If you know that you're anticipating substantial medical expenses, it might be a good idea to also go ahead and get those dental implants or LASIK that you've been considering (assuming you can swing it financially) and have everything done in the same year. That way, you'll maximize your medical expenses, increasing the amount that's over 10% of your AGI and ultimately increasing the total itemized amount you'll be able to deduct on your tax return. But do some back-of-the-envelope estimating first; you don't want to find out after the fact that you went through all that and still end up being better off with the standard deduction. If you don't claim your medical expenses as an itemized deduction, you can use your HSA funds to pay for them — either directly or by reimbursing yourself later on (as long as your HSA was already established when you incurred the expense, you can reimburse yourself at any point in the future). So let's say you have an HSA-qualified high-deductible health plan (HDHP) and an HSA, but you only have $500 in the HSA. You know you're going to need a surgery this year that will leave you on the hook for your $5,000 deductible, but you don't anticipate having enough deductions to make it worth your while to itemize your deductions when you file your taxes. Fortunately, your HSA can still allow you to use pre-tax money to pay your health insurance deductible. Assuming your HDHP covers just yourself (no other family members), you can contribute up to $3,500 to your HSA in 2019 (plus another $1,000 if you're 55 or older). Even without interest or investment gains (or the flip side of that — investment losses), that would put your balance at $4,000 by the end of the year. That won't cover your full deductible, but the good news is that — assuming you continue to have HDHP coverage — you'll be able to contribute the other $1,000 to your HSA in 2020 and then reimburse yourself for the full amount of your deductible at that point (you can reimburse yourself with whatever's in your account in 2019 and then make up the difference in 2020; you don't have to wait until you have it all in the account). So if your hospital will allow you to set up a payment plan, this is an approach that will let you use pre-tax money to cover your out-of-pocket costs, even though you won't be itemizing your deductions on your tax return. Again, we're here to share some suggestions that have worked for us. But this is not meant to serve as financial advice -- always speak to a qualified professional before making changes to your own financial plans.